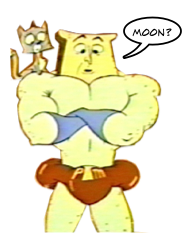 Anyone paying limited attention to the tweets coming out of SXSW (South By South West) might have mistaken “Moontoast” to be the most popular breakfast special down in Austin, Texas, which is where the film, music and interactive media event was held last week. And while Moontoast can’t nourish you like a wholesome serving of powdered-toast, it CAN find a person in the community who will produce a gourmet breakfast feast, and subsequently teach others how to accomplish this task without devoting an entire day to instruction. This is the basis for Moontoast, a new web service that aims to seek out the best experts in every field and provides them with the proper tools to instruct the masses. The service champions the slogan “together we know everything” but this isn’t a giant attempt to recreate the crowd-sourcing of information as a teaching tool — much in the same way a wiki does — since no one is an expert on everything. Arguably, however, everyone knows everything about at least one or two subjects and that’s where Moontoast has the potential to really build a rich team of instructors for every topic. If sharing links and editing articles in a group forum is crowd-sourcing, then this is expert-sourcing. Users have the ability to submit their own services that can range from beekeeper to Mark Twain Zealot to Fishing Guide — anything. The site then facilitates these experts by giving them a set of web tools to enhance their role as instructors to anyone pursuing the knowledge. The expert can then set a payment rate (using credits that convert to real money) and schedule their availability. What makes this project even more interesting isn’t necessarily that it was co founded by acclaimed guitarist Bucky Baxter and developed using brilliant Nashville technologists. Moontoast gets its financial backing from country music artists Wynona Judd, Vince Gill, Amy Grant and Kip Winger, who aren’t the typical breed of opportunistic investors. [At least, this is not how I typically view them]. This entry was posted on Friday, March 20th, 2009 at 10:00 am and is filed under Programming, Tech Industry News, Technology. You can follow any responses to this entry through the RSS 2.0 feed. You can leave a response, or trackback from your own site.